America is An Idea and The American Dream is for Everyone. 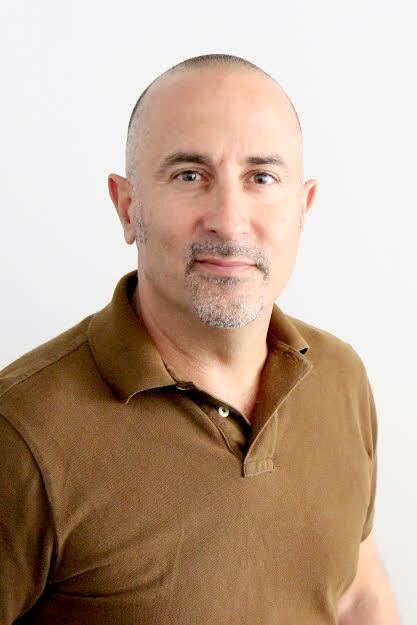 Today we are featuring a book from the co-founder of Empowr.com, Michael Cyrus Pousti. You will be inspired to learn how the founders followed their dreams to their Moonshot Project. We are pleased to be a part of the virtual book tour for America is An Idea. You can find details and a schedule of Mr. Pousti’s daily stops here at iRead Book Tours. From a co-founder of empowr.com comes this “Why?” story behind the massive social platform, empowr, that’s been in the making for fifteen years. Learn exactly what drove the participants (founders, advisors, success coaches and 1,000 employees plus 100,000 alpha test users) in their gigantic moonshot project. 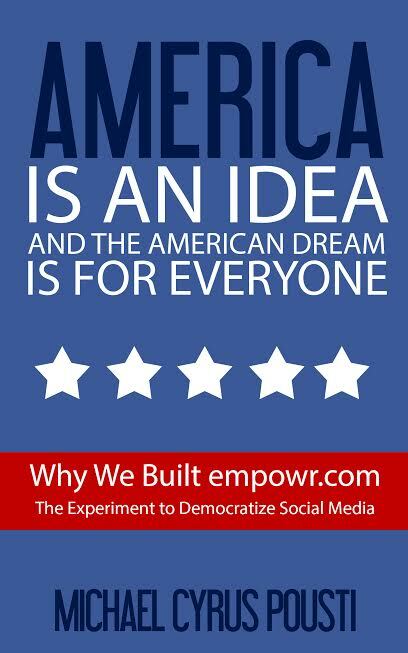 After meticulously discussing the “Why?” the author then delves into how empowr has been designed to exploit the exponential characteristics of the web – via its tightly-integrated democratic, economic and educational platform – to deliver opportunity to people everywhere. The book reads like a manifesto and a manual. One can’t help but come away with newfound or elevated inspiration to dream big, take on their own moonshot project and make a massive difference on the planet. Mike Pousti is the co-founder of empowr, a partnership between academia and tech entrepreneurs that’s attempting to deliver a democratized social media experience where the company is governed by its citizens. Mike began his entrepreneurial journey when he founded his first start-up during his senior year as a computer engineering student at UC San Diego (UCSD). Employing 200 people and generating millions of dollars in profits before the age of 22, his company, Higher Educational Resources Corporation, developed the first commercially successful search engine on the Internet, known as the Arpanet. His next start-up, Productivity Solutions Corporation, was acquired when he was 24 and two years later, Mike started CollegeClub.com, the world’s leading website for the 18-23 year old demographic. After the dot-com crash in 2000, CollegeClub.com was acquired, and less than a week later, Mike started Phase 1 of empowr. empowr’s highly patented suite of technologies generated over $150M U.S. and today, empowr’s proprietary technologies are used by all major social platforms including Facebook, Twitter, Instagram, Google Plus and Tumblr. While Mike remains an integral part in the daily operations of empowr, he recently relinquished his CEO position and handed over control of the company to empowr’s citizens, who formally elected their leader (and new President of empowr) via a web-based election. Be sure to check out the article here today written by Michael Cyrus Pousti. Thanks for sharing it, Mr. Pousti! Memory Care for Alzheimer’s: A Necessary Decision?